It’s Back! 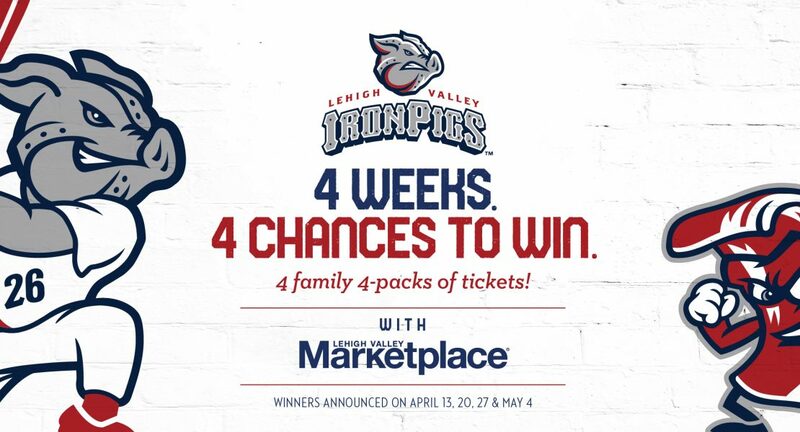 Once again, we’ve partnered with Iron Pigs Baseball to give away four family four-packs of tickets, and there are four chances to win. Every Friday, we’ll pin a new post to the top of our Facebook page. Throughout the week, you can “like” it and comment on it with different challenges for a chance to win. (Share it with your friends–maybe if they win, they’ll take you!) Winners will be announced every Friday. Winners will be announced on April 13, 20, 27, and May 4. Good luck!